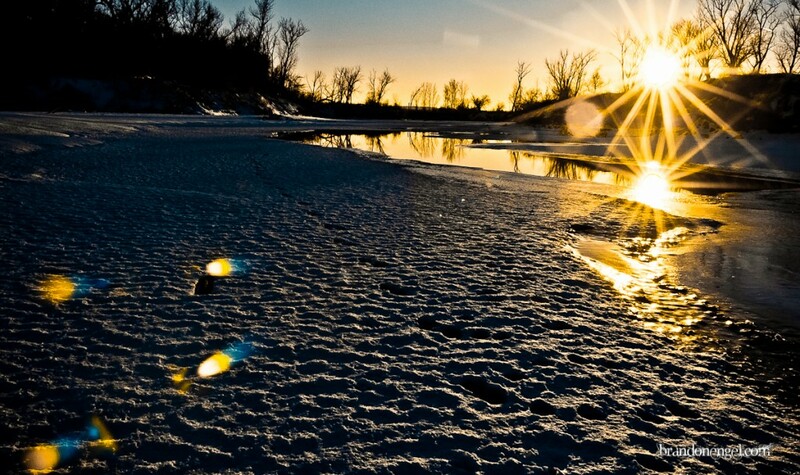 Taken in Boyer Chute, on top of a small offshoot of the Missouri river that was frozen over. Boyer Chute is just north of Omaha, NE and due East of Fort Calhoun. This was just a little fun with sun flarring with my favorite lens and dualling suns.